The scale is just breathtaking. 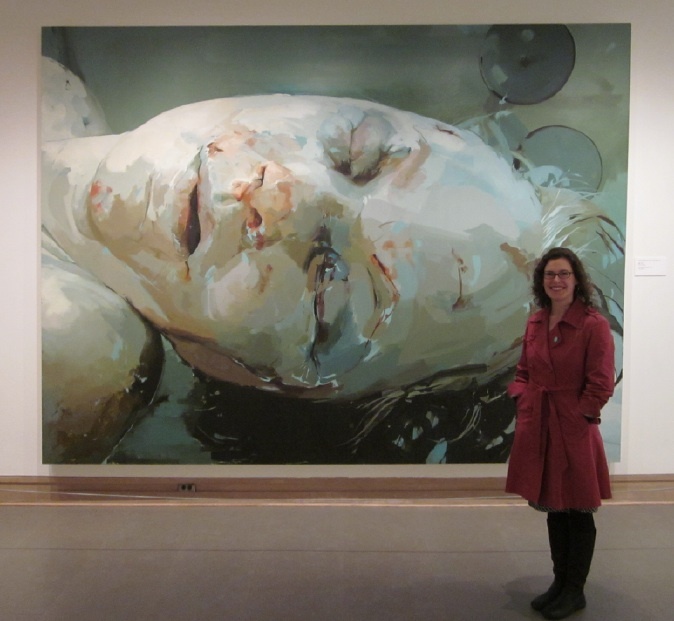 I was so excited to see that the Met has acquired a piece by one of my favourite painters, Jenny Saville. I fell in love with her work in 2001, when I found a few paintings in a book while I was attending NSCAD. Though some of the pieces are a bit grisly in subject matter (my sister said “Ugh, I don’t like looking at that at all!”), it’s all that luscious paint and fleshiness that drew me in. I’d never seen one in person until the Met, though. 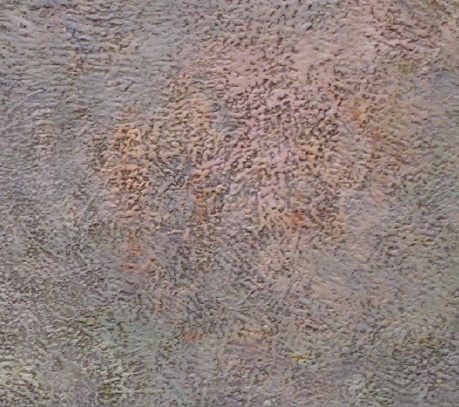 The piece is titled Still, from 2003. It reminded me of Willem De Kooning saying “Flesh is the reason oil paint was invented.” Absolutely. 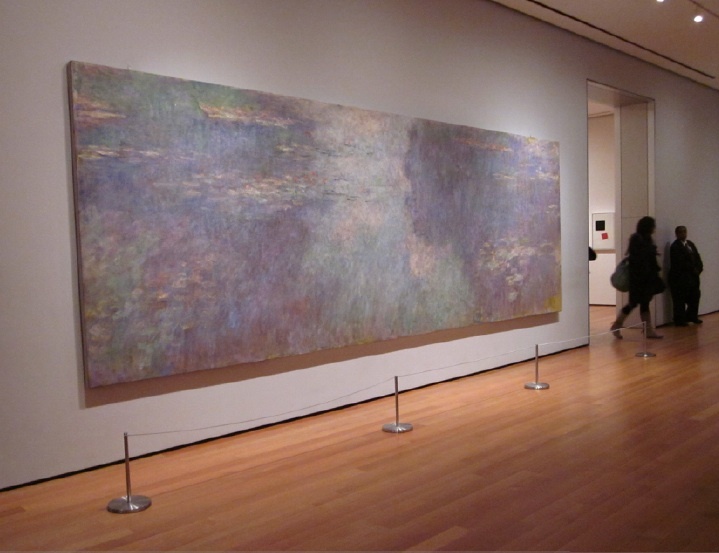 Monet's waterlilies are just so meltingly beautiful, it's impossible to avoid gushing. I know how long it takes to build up a surface like that. Again, gush. ...and an old studio friend. Almost ten years later. 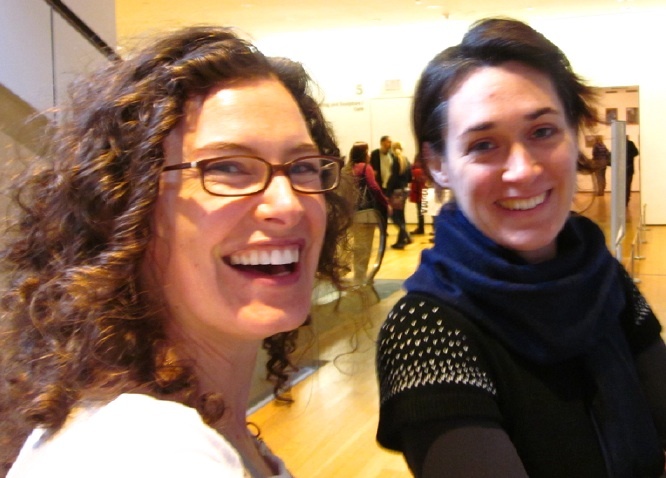 Thanks for the date, Jane!